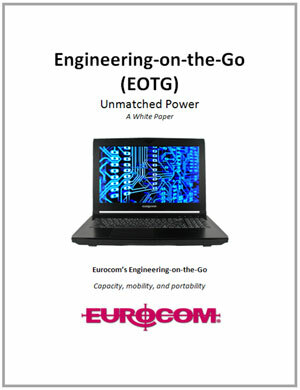 Thank you for your interest in Eurocom's Engineering-On-The-Go solutions. This white paper will provide you with all the information regarding this novel strategy, the new business opportunities it creates for companies in the engineering industry, the Mobile Solutions needed to implement this strategy and will give you some real examples of how pioneering companies are utilizing Engineering-On-The-Go. If you have any questions after reading this white paper feel free to contact us via the ways mentioned on the bottom of this page. We hope to hear from you soon!